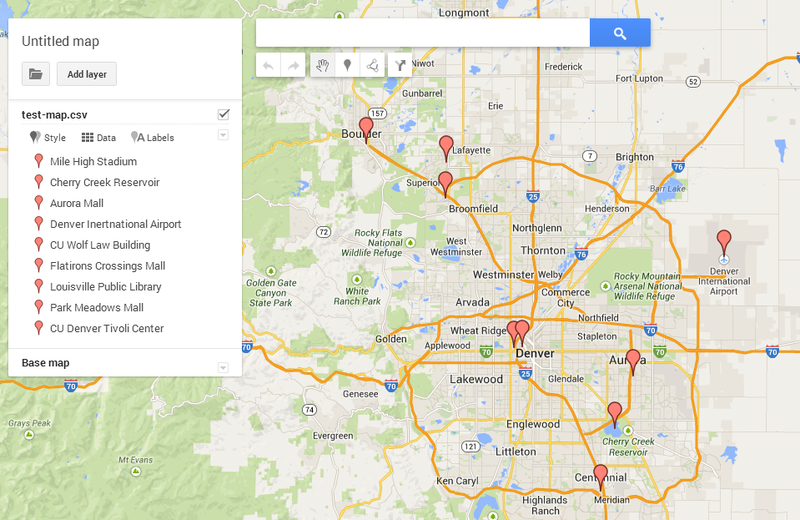 I had a client recently ask me to map a ton of location for them on google map. 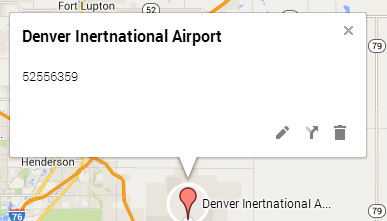 A friend recommended using their maps engine tool. Here are some notes I have on how to use it. 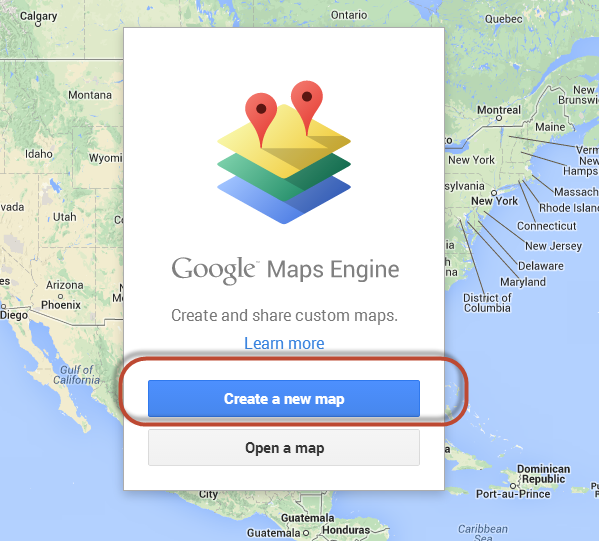 I will be going over the free tool Google Maps Engine Lite. I made the mistake of looking at Maps Engine Lite Tutorials but signing up for Maps Engine (The very advanced tool). Which seems very powerful, but the set up tools are a little advanced when you are just starting out. 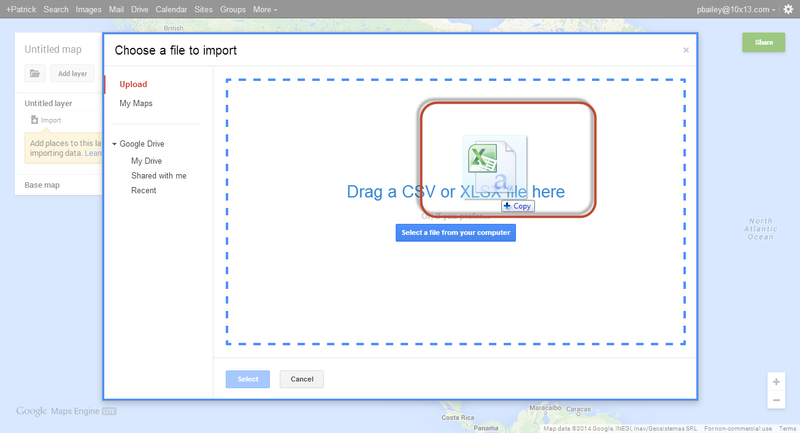 First create a spreadsheet file to upload to the maps engine. 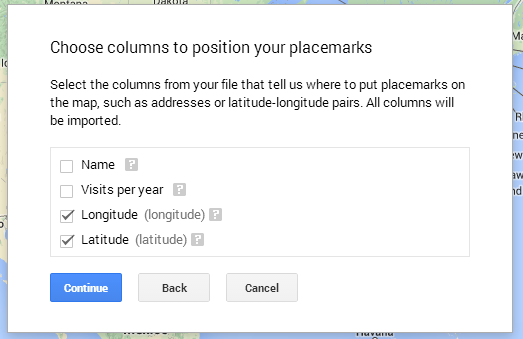 This file must contain columns that show location and can contain several informational columns. The Lite version limits you to 100 rows per spreadsheet. 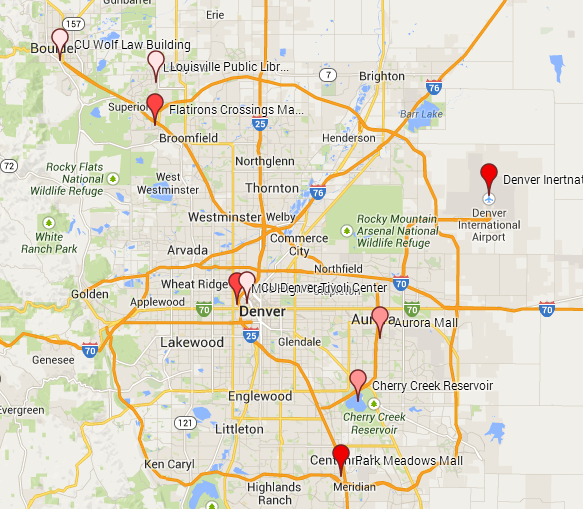 Here is a simple one I created that has a few sites around the Denver Metro Area. 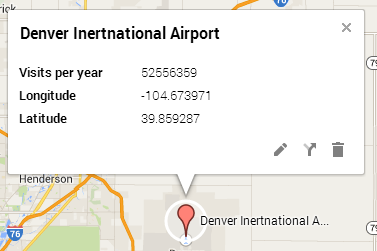 It has the Name, Visits per year (A made up number) and the long and latitude. 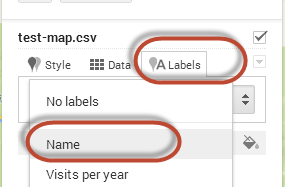 Here is a csv version if that is more convenient to copy. 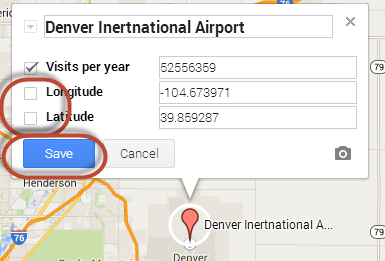 This screen asks you to checkbox the columns that should show your location. 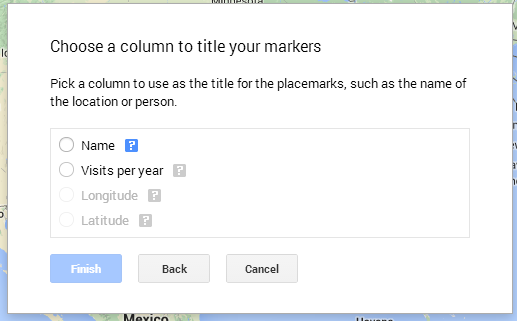 In my case since I named mine Longitude and Latitude it automatically marked them correctly. 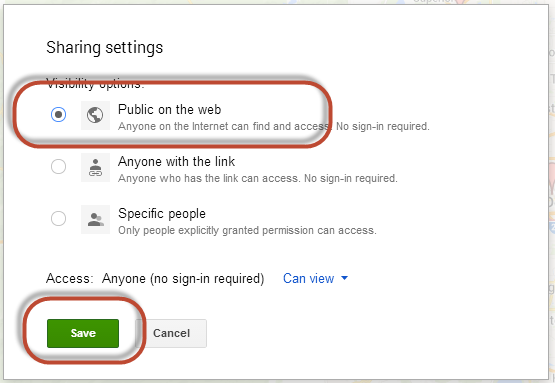 Make sure your checkboxes are correct and click continue. Select a column you want to title the pins as. In my case I chose Name. 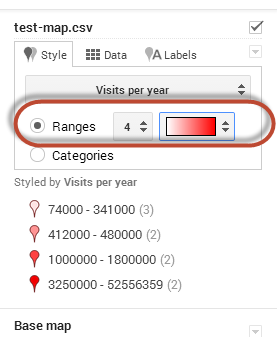 If you click on any point the information from the spreadsheet will be displayed. I am going to make this a public map. The YouTube video shows a lot of cool things you can do with these maps I recommend you watch it. But I will show a few things I have figured out thus far. Now all the map pins have their name show up next to them. 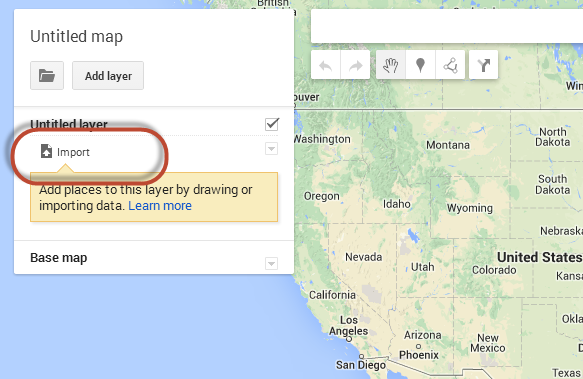 I don’t really want to show longitude and latitude so I will remove them from this pop up view. 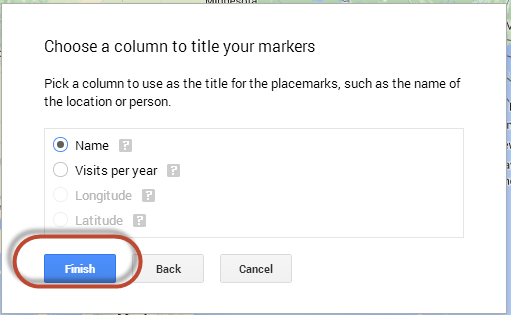 Now the latitude and longitude are gone…. 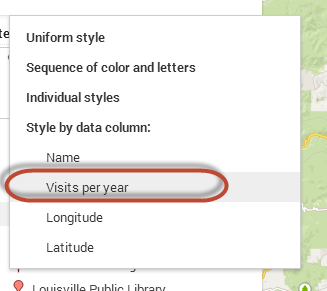 But so is the Visits per year label. 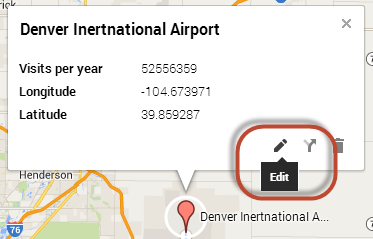 I am guessing the label is removed if there is only one piece of data to show. 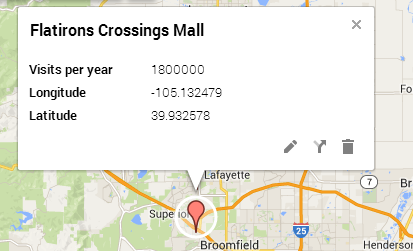 You can style the pins by a column value…. 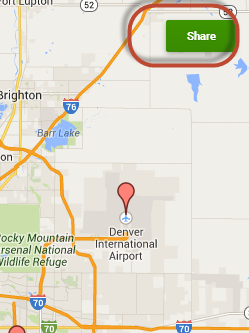 Now you will see the pins get darker the more visits per year they have. 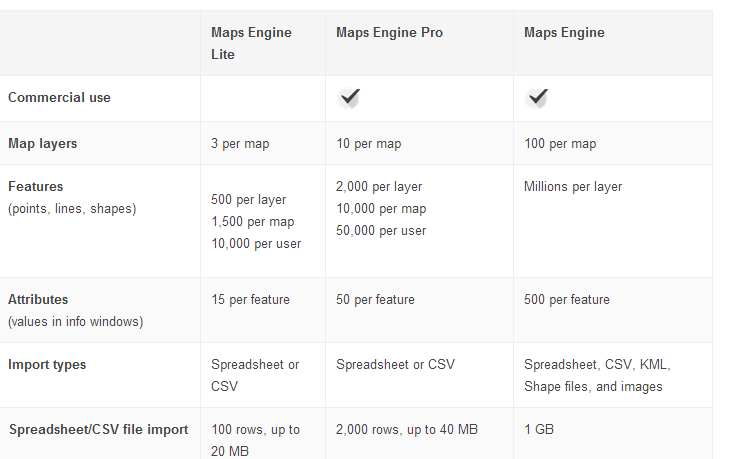 What is Maps Engine Pro?